New & Refurbished Computers, Laptops & Components Welcome to Giga Refurb, where you can browse and choose from a wide range of high-quality new, refurbished desktop computers and refurbished laptops. We have an extensive range of refurbished computers in our collection from many of the top manufacturers, all of which have been graded, so you are sure to find one to match your requirements. If you are thinking about buying a new computer or laptop, refurbished models could be a great idea. A refurbished computer is one that has previously been used, sometimes only for a short time, but has been wiped and tested extensively in order to use it again rather than throwing it away. At Giga Refurb, we collect computers from offices across the UK, and we test each and every one of them to make sure that they are completely functional and in good working order. Because of this rigorous testing, you are able to enjoy peace of mind in buying refurbished laptops and computers in the knowledge that you are receiving a product in full working order. Refurbished does not mean that the computers are broken or that there is anything wrong with them. Sometimes businesses need to update all of their computers at the same time, but the old computers are still perfectly usable. You can take advantage of this and enjoy a powerful computer in great condition for less. People decide to buy refurbished computers for a number of reasons. Essentially, you get a cheaper computer in great working condition. With cheap refurbished laptops, UK customers get more power for their money than they would buying a new computer because they can get a higher spec machine while spending less. When buying refurbished computers, UK customers can also enjoy environmental benefits. Reusing is the best form of recycling, so you will be doing your bit for the environment by extending the life of an older computer rather than investing in a new one. When you buy your refurbished laptop or computer from us, you know that it has been tested thoroughly to make sure it is in good working condition. We collect the computers so we know where they come from, and then we carry out the refurbishment process ourselves. This involves wiping the data on the computers securely so that nothing remains on them. 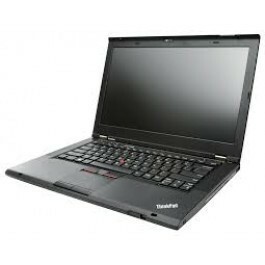 We also offer a wide range of refurbished laptops for sale and refurbished computers, and we provide some great prices so you can find a real bargain and get a lot more for your money. To buy your refurbished computer from us, first you should decide upon what you need, including the power, memory and operating system requirements. When you have a good idea of what you are looking for, browse through our collection to compare our computers and laptops, and then ask us any questions you have. You can then buy your refurbished computer online simply and securely. Start your search for refurbished computers and laptops today. Simply browse through our collection until you find something you like the look of, then buy it securely online. Remember, we are here to help, so please ask us if you have any questions.